Genesis, meaning the beginning of creation-(jen-e-ses)-we have used one of the phonetic spellings. More broadly, it is working together in community for the purpose of exhibiting. Please join us on Wednesday evening Feb 7th at 6:30p at tRg Studio. Bring an image or two on a thumb drive to work on. Preferably Raw however, high-resolution jpegs will be accepted if no Raw file exists. We will collaborate together to make your images the best they can be with input from your peers. We will have open discussions and present short YouTube videos on techniques. By the end of the evening you will output a low resolution JPEG to the presenter for the purpose of record and to show your progress. 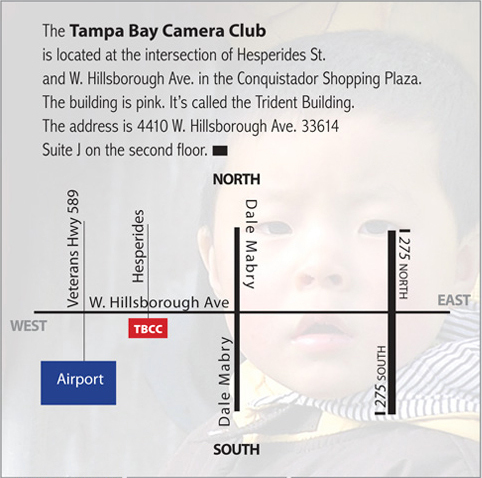 This is a Tampa Bay Camera Club Outreach project. If you would like to invite others who may be interested in joining the Camera Club and would like to work in this type of community, you are encouraged to do so. We look forward to seeing you this Wednesday.